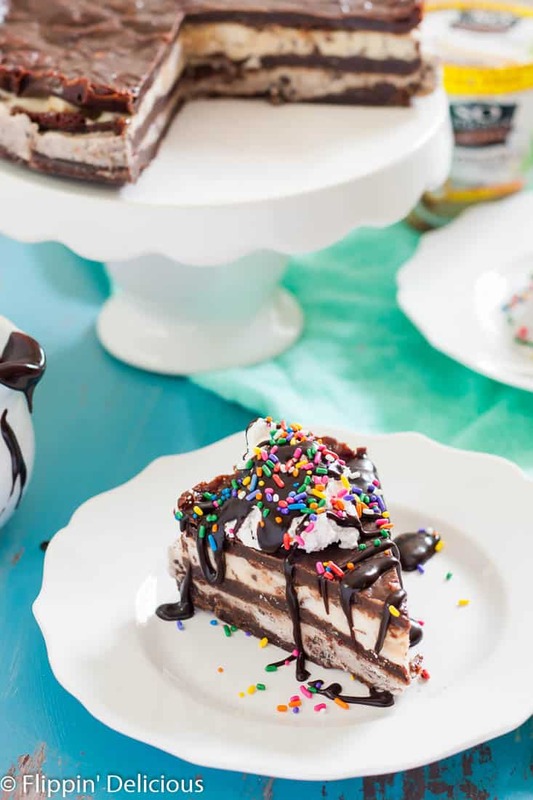 This Vegan Brownie Ice Cream Cake makes the most epic celebration cake ever! Gluten free Vegan Brownies layered with gluten free dairy free cookies and cream and cookie dough ice creams, topped with coconut whipped cream, hot fudge sauce, and SPRINKLES! This recipe is a part of The Coolest Creamiest Dairy-Free Recipe Showdown (for more info scroll down past the recipe) sponsored by Go Dairy Free and SoDelicious®. As always, all my opinions are my own. Thanks for supporting Flippin’ Delicious™ and the brands that I work with. Every year on my birthday I try to make a cake more epic than the year before. 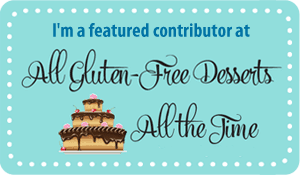 A little secret about me… I actually am not as big of a cake fan as you might guess. Yes, I love cake. But if given a choice between a gluten free cookie cake and a devils food chocolate cake…. I am going to pick the cookies. This year for my birthday I made this Gluten Free Vegan Brownie Ice Cream Cake. Last year I made the aforementioned gluten free 3 layer cake with huge chewy gluten free cookies and my favorite american buttercream. This year my family is not only gluten free, but dairy free too. As I started brainstorming my perfect 25th birthday cake I recalled my 11th birthday. When I found So Delicious Gluten Free Dairy Free Cookies and Cream Frozen Dessert IN STOCK (it almost always is sold out in my Sprouts) and ON SALE I bought a pint. I also bought a pint of my favorite So Delicious Gluten Free Dairy Free Cookie Dough Coconut Frozen Dessert. In that instant I knew that I was going to make the most epic birthday cake ever! Definitely a cake worthy of celebrating a quarter of century of life! Inspired by my 11th birthday cake, I baked 3 layers of my favorite dark chocolate gluten free brownies from my cookbook The Essential Gluten Free Cookie Guide. I made quite a few tweaks to my original recipe so that the brownies would be easier to slice frozen AND TO MAKE THEM VEGAN. I gave myself a big pat on the back when I succeeded! I started with a layer of gluten free vegan brownie, and then spread the softened cookies and cream frozen dessert. Another layer of brownie and a creamy layer of cookie dough frozen dessert. And then another brownie! I told you…. it is epic! I froze it overnight before slicing it so that it would be firm and slice-able. I shared my gluten free dairy free brownie ice cream cake for a small birthday celebration at my parents house with my daughters, hubby, and all of my siblings that still live at home. 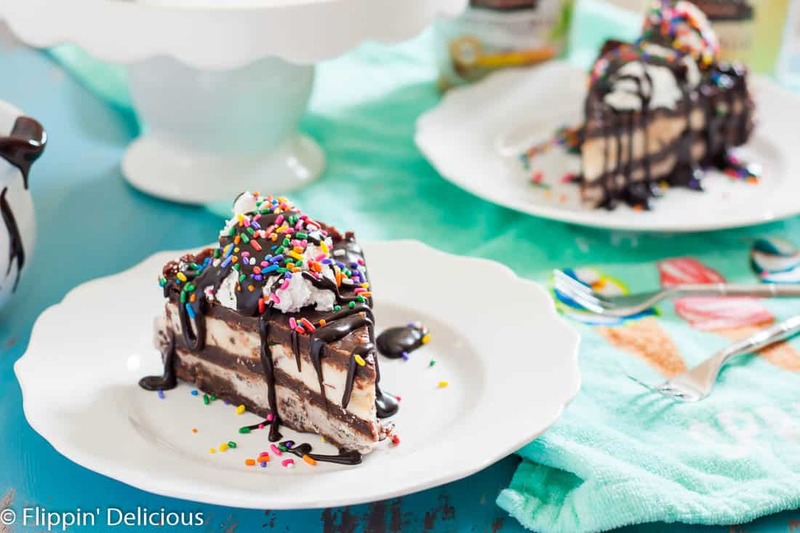 Maybe I’ll make these Dairy-Free Snickers Ice Cream Cookie Bars from my friend Alisa at Go Dairy Free! They are making me drool just a bit. Preheat the oven to 325F. Line 3 9inch round cake pans with parchment paper and lightly grease the sides. In a small bowl mix the flax meal with ¾ cup warm water. Let sit for at least 5 minutes or until thickened. 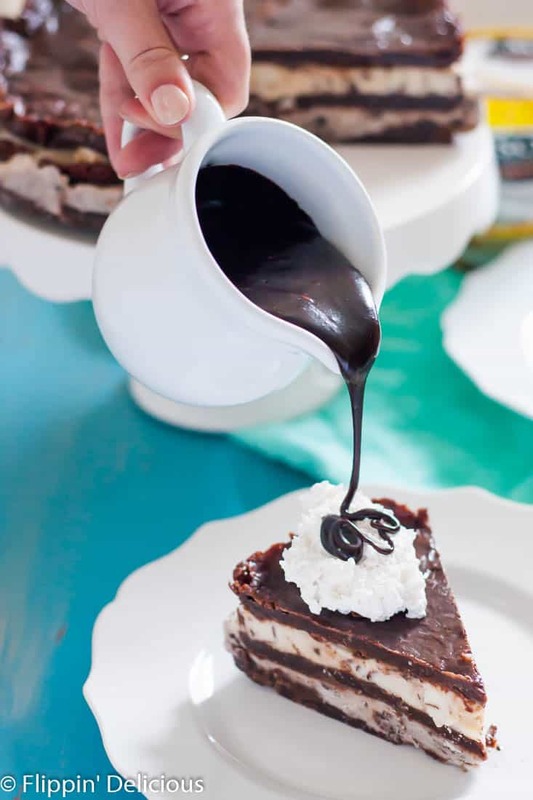 In a microwave safe bowl, heat the chocolate and oil in 30 second increments until smooth. Add the sugar and stir until combined. Then add the almond meal/flour, gluten free flour, and salt and stir until combined. Add the flax meal mixture ¼ cup at a time, mixing until fully incorporated before adding more. Evenly divide the batter between the pans and spread evenly. Bake in the preheated oven for 18-22 minutes or until the edges look set and only the center jiggles slightly when you jiggle the pan. Let cool completely before removing from the pans and parchment paper. In a 9 inch round spring-form pan place the bottom brownie layer. Scoop the Cookies and Cream Frozen Dessert onto the layer and spread it out as much as you can into an even layer. Top with another brownie layer and scoop the Cookie Dough Frozen Dessert onto the layer and spread it out as much as you can into an even layer. 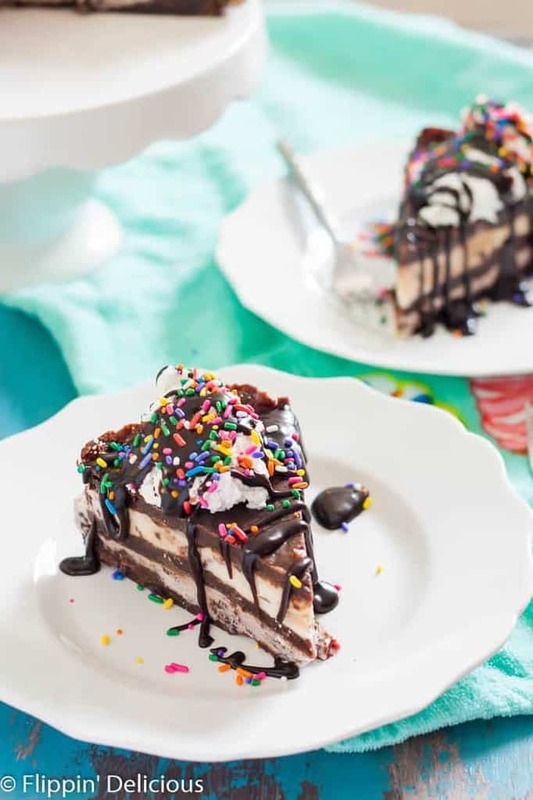 Serve with CocoWhip, Dairy Free Hot Fudge Sauce, and sprinkles. You can melt the oil and chocolate for the vegan brownies over low heat in a saucepan if you prefer. 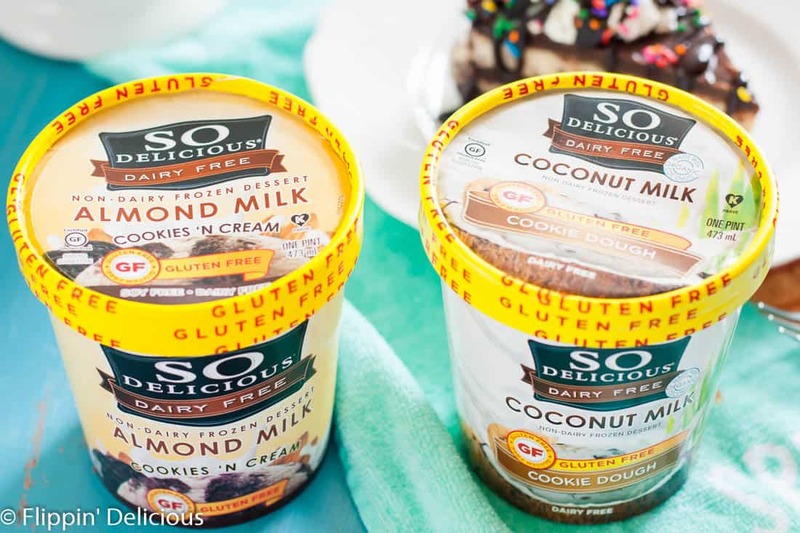 Watch for amazing recipes by 21 talented bloggers, authors and recipe creators in this summer’s Go Dairy Free recipe contest, sponsored by So Delicious Dairy Free. The entrants will use So Delicious Coconut Milk Frozen Desserts or Cashew Milk Frozen Desserts to create the Coolest and Creamiest treats. All recipes will be shared between July 10th and July 24th (follow the hashtag #RaiseAPint on Twitter and Instagram), and then you will be able to vote on your favorites! 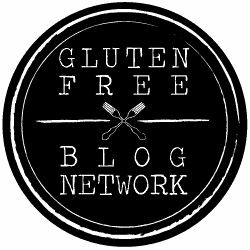 The recipe contest winners will be announced in August, and will include two $500 grand prize winners and two $250 runner-up winners. It looks amazing and I love that you put sprinkles on it! You know me and sprinkles 😉 Thank you Chrystal! This is so fun! You have the best ideas! That cake looks so amazing, I am sure you’ve outdone yourself! Clearly, this was a very happy birthday! Thank you Elle! It was most definitely a very happy birthday! You weren’t messing around! This one will be hard to beat! Happy Birthday!